Designed to store the essentials to repair a mid-ride mechanical, our Expedition Tool Pack is a sleek, ultra-compact Pack that’s excellent for short rides and bikepacking adventures. 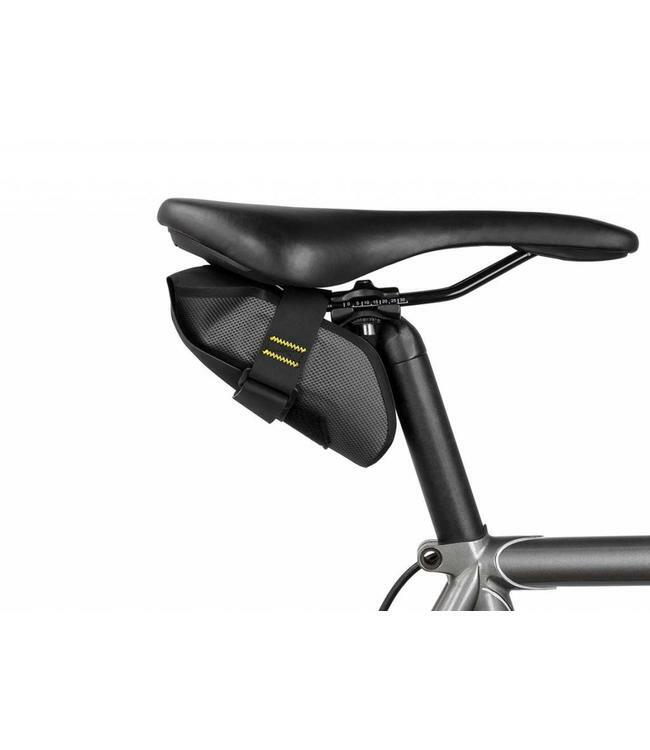 Fitting neatly under the saddle, the Pack attaches securely with a velcro-backed Hypalon strap that’s effective even when exposed to road spray and grit – a weakness of traditional zippers and buckles. Inside, there’s enough capacity for two spare road tubes, tire levers, a small multi-tool, and a CO2 canister. The exterior is protected by a tough, lightweight fabric that’s completely waterproof. Reflective graphics and a light attachment point add visibility in low light.